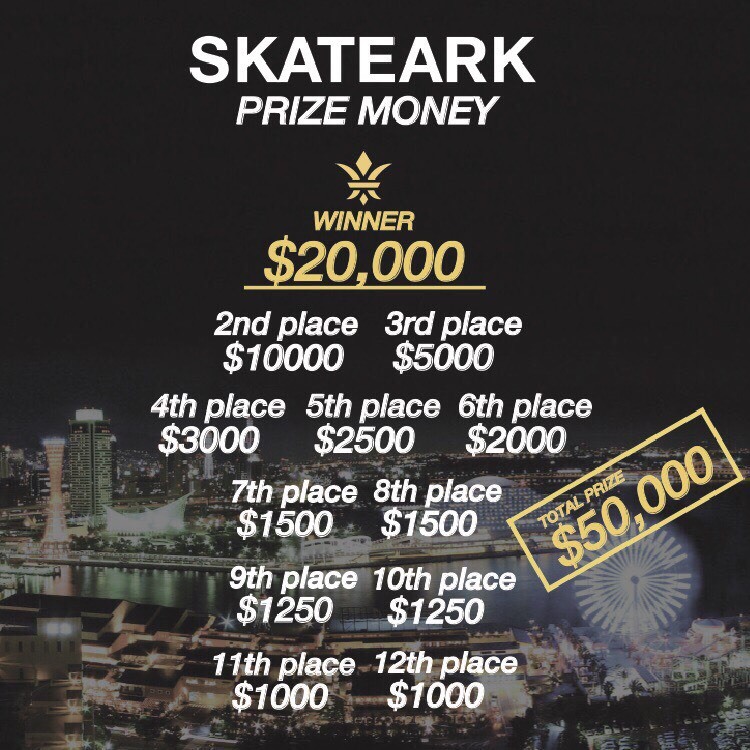 To annouce about SKATE ARK 2017 prize money! You can get prize money when you get through to the final at SKATE ARK 2017. This is the highest prize money ever in the Japanese skateboard contest! Who will get this big prize money at SKATE ARK 2017!?! ?